A hand-painted flag of so-called Islamic State has been found in the room of an Afghan refugee accused of carrying out an axe and knife attack on a southern German train, officials say. 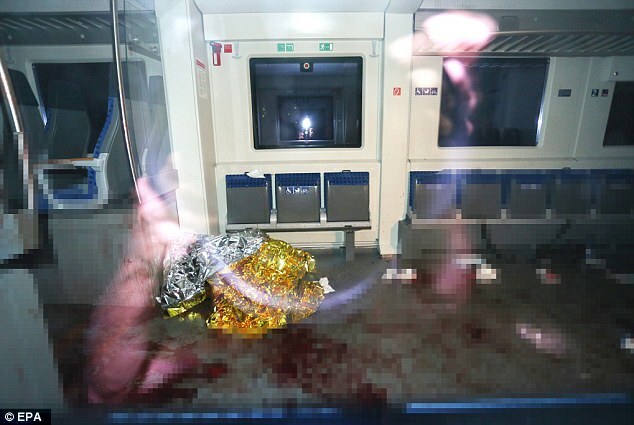 A 17-year-old Afghan refugee believed to be behind the attack was shot dead by police as he reportedly charged at them following the incident at Würzburg-Heidingsfeld station. More than 15 people have been injured after a man armed with an axe went on a bloody rampage after storming a train in Germany. Armed police swarmed the area soon after receiving reports that a man hacked at passengers on board a train close to Wurzburg in southern Germany. Police have confirmed that at least 15 people have been injured in the horrifying attack - which began in a train this evening. The boy is reported to have shouted "Allahu Akbar" before the attack.